Whether you target military, defense or aerospace industries — or if you think that your MEMS device may be used within these industries — you may need to become compliant under the Department of Defense. 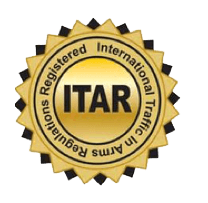 International Traffic in ARMS Regulations (ITAR), in place since 1976 to protect national security and ensure foreign policy objectives, governs the export and re-export of controlled commodities, services and technologies. Under ITAR, the manufacture of a device, component, assembly, subassembly or system must be created within an environment that is compliant. ITAR doesn’t just govern the physical part, device or end-product. It also restricts how information pertaining to ITAR-regulated products and services is secured, stored and shared. The regulation guarantees that anything to do with U.S. proprietary defense secrets are not shared with anyone who is not authorized to see or be in the possession of those secrets, including non-U.S. citizens in the U.S. The U.S. Government requires that all manufacturers, exporters and brokers of defense articles, defense services or related technical data must be ITAR-compliant. Because many MEMS based products and technology can often evolve rapidly, a design intended for commercial applications may become attractive to military/aerospace users. The fact that it was originally used for commercial purposes does not necessarily exempt it from ITAR regulations. A growing number of companies are starting to require supply-chain members to become ITAR-compliant by registering with the State Department’s Directorate of Defense Trade Controls (DDTC) and abiding by the ITAR regulations. Registration provides the U.S. Government necessary information on those involved in certain manufacturing, exporting and brokering activities. The manufacturer is, in effect, certifying that they operate in accordance with ITAR when they agree to be a supplier for an USML prime exporter. ITAR requires that any entity engaged in the business of manufacturing defense articles or furnishing defense services must be registered, and that the registration be maintained as current with the United States Department of State. Increasingly, commercial companies are expanding their products and applications to target defense industries. The issues involving export enforcement regulations, however, are extremely complex. Add to that complexity that regulations and enforcement involving both civil and criminal actions are expected to become even more stringent as we work to prevent technology from falling into the wrong hands. No matter where you are on that spectrum, Rogue Valley Microdevices is already ITAR-registered and we can help. 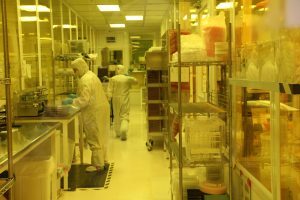 At Rogue Valley Microdevices, we have clients that operate within the defense, military, aerospace segments already, and others are short steps from entering these restricted areas. You may be developing defense-related products today, in the future, or just want to be kept informed as to requirements that govern your options. While you might not require ITAR-related services now, the fact that we adhere to ever-more stringent requirements and proactively expand our offerings, means that processes, security, communications and discipline are in place—ready for what you might need tomorrow.